Thanks so much! I was getting ready to chuck my phone against the wall. Actually, it appears this does not fix the problem. My wife and I each have an Incredible. Both are running 4.08.605.2. I was hoping this s/w update would fix the low memory issue. For my phone, I thought it had. I loaded up lots of apps in phone memory and it worked o.k. However, my wife had a friend who e-mailed and texted her several videos and the low on space warning came back. Mail was over 50M when I checked. Once I cleared the data on the stock HTC mail app, the warning went away. Of course, afterwards I had to set her account back up. This is great! thank you. I'm so sick of this low memory issue. My phone kept trying to update but it wouldn't let me because of the low memory. I was able to download the update OTA manually by following your instructions. thank you! This was awesome, helped me get my phone updated to Gingerbread. But then the low space error kept coming back. This is how I fixed my phone... I disclaim any and all responsibility for anyone following these instructions!!! 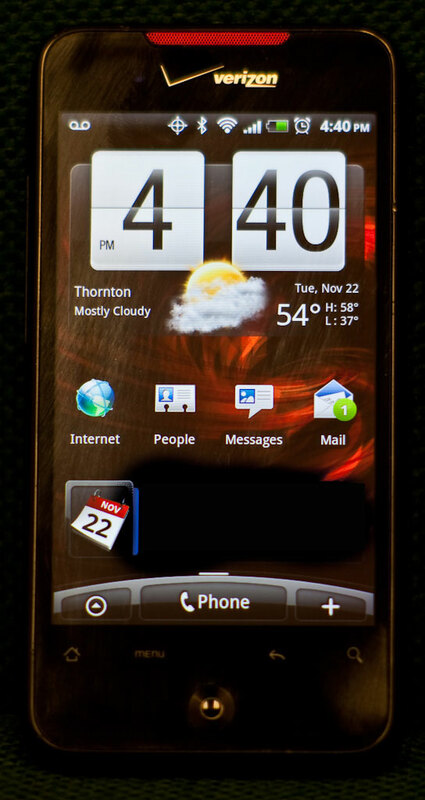 I *FINALLY* found the culprit in my Verizon HTC Droid Incredible phone with Android 2.3.4 Gingerbread. It used to be, that Facebook or the Contacts Directory, or sometimes Mail were the programs taking up space. But it turns out on my phone at least, I found there is an error log that keeps growing, and it's gotten worse after the Gingerbread update. NOTE: You do NOT have to downgrade and you don't need "S-off", you only need to follow the directions up to where it says "you should now have the superuser app in your app drawer." Be sure to read the special note to users with the SLCD screen. For me, it seems to grow by more than 300K per day with unneeded crash log data. Mine was 70+ MB!!! Delete the file, it's not needed for anything. This site: http://atlas.hasselbalch.com/android/anr-using-my-space gives instructions on how to prevent it from regenerating... when you reboot your phone, the file is re-created. You have to remove write permissions and then change the ownership of the file so that it will not grow again. This can be accomplished with Root Explorer. I have been living with this issue for months and just never took the time to really dig in and search for the fix. These directions are spot on. I had to try them 3 times in a row before I started getting the Low Space error again. I went ahead and cleared the Facebook cache (about 22mb) in Settings>Applications to free up even more space and tried again and THEN it finally installed. How sweet it is. This worked after two attempts. Thank you! I had previously deleted a lot of stuff in an effort to free up some space. Curious to see what happens when I begin using phone as a smart phone again.